Summer 2015 is coming and it is a great time to consider volunteer and internship options in Asia. Interested in travel abroad, combined with meaningful human contact with people in foreign countries? Friends for Asia has you covered. Transform your summer holiday by signing up as a Friends for Asia inclusive summer volunteer/tour package. In the process, you’ll interact with local community leaders, pick up important foreign phrases and enjoy a level of behind-the-scenes access in Asia that most tourists couldn’t dream of achieving. In 2015, Friends for Asia volunteers will be busy lending a hand to important projects in Chiang Mai, Thailand. For our summer package, we focus on two areas of need: orphanages and schools. In both cases, we’ve structured the program to maximize the impact of your work. If the dates won’t work, or you want to select other projects or internships, Friends for Asia organizes projects in four countries in Asia, and our volunteers are found at children’s homes, rural schools, Buddhist temples, hospitals and conservation parks, orphanages and NGOs. Exotic cuisine, foreign languages, ancient temples and unusual customs – there’s so much to experience in Asia. Friends for Asia volunteers stay busy with their summer project work, but we make sure that they enjoy the full visitor experience while they’re in-country. We’ve packed the summer project experience with extra activities and cultural encounters. 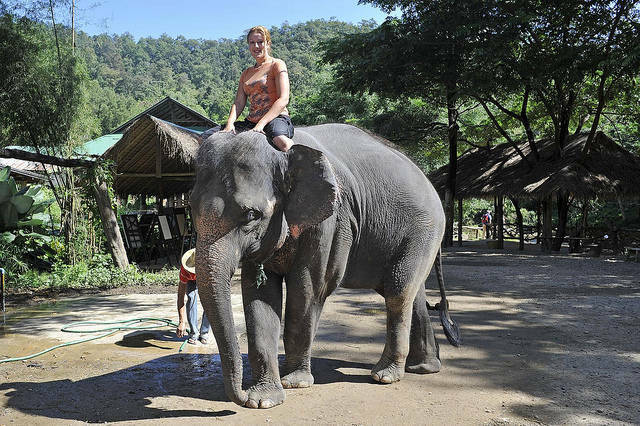 Depending on the assignment, the schedule could include visiting a traditional healer, braving class-3 river rapids, bathing elephants, trekking through the jungle or having dinner with a local prince. See the specific summer volunteer project pages for details. One of the great joys of volunteering abroad is the fact that everyone benefits. Volunteers give back to the communities they visit, and in the process they learn a great deal about the local customs and culture. Even better, locals often look at our volunteers differently than they would run-of-the-mill tourists. They understand that – while many visiting foreigners spend their time lounging on beaches, riding on tour buses and gathering at Western-style hangouts – volunteers invest their time and energy in projects that help everyday people. Transportation: An FFA representative will pick you up at the local airport. From here on out, we’ll take care of your transportation to and from project sites and planned activities. Accommodation: You’ll have full accommodation from the day that we pick you up until the last day of your project. The style of accommodation depends on where you’re working but usually includes shared rooms with en suite bathrooms, hot showers, Western-style toilets and air-conditioning. Food: All of your meals (breakfast, lunch and dinner) are included as part of the project. Of course, unlimited drinking water is available. Materials: Different projects require different tools, and we’ll see to it that you have all of the materials you need to complete your assignment. Ongoing support: On-the-ground support is essential to the success of any international volunteer experience. With that in mind, an FFA associate will be with your group 24 hours per day for the duration of your project. 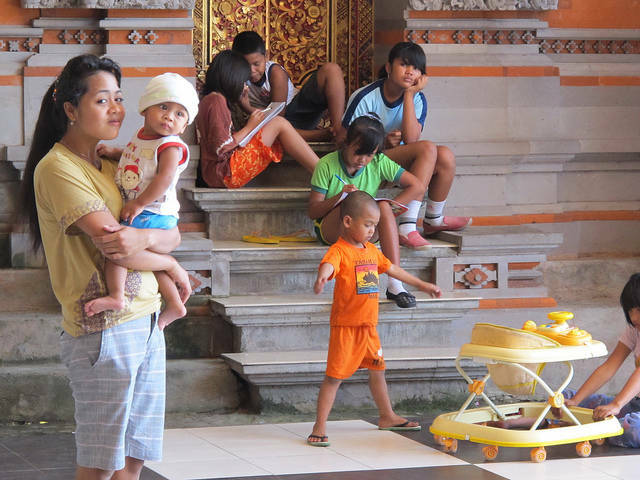 The inclusive volunteer and tour package in Summer 2015 is available in Bali and Thailand. Each location has different start dates to choose from. These are two-week projects are comprehensive and include accommodation, volunteer projects, and great organized travel events and activities. For some volunteers, these dates might not work, or they may prefer more flexible schedule or to focus on specific volunteer projects. No worries. Our standard individual volunteer projects are flexible with start dates twice per month throughout the summer. Standard volunteer projects are available in Bali, Nepal, Thailand and Vietnam. Individual projects and internships are two-week minimum, and can be extended for any number of weeks. Many volunteers and interns choose to mix and match and try two or more options while abroad. Full orientation, support, and accommodation is available for these projects, but we leave most of the tourism/travel events up to the individual. There are always other volunteers on the projects to make getting a group together for excursions easy to do.